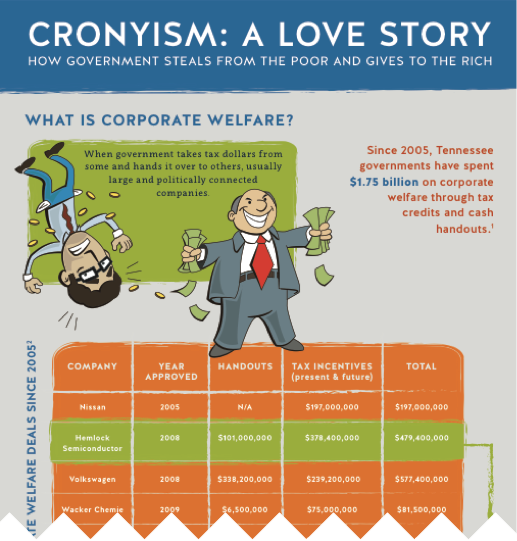 Today, the Beacon Center of Tennessee published a new “PoliGraphic,” a policy infographic outlining some of the most massive corporate welfare deals in Tennessee over the past decade. The PoliGraphic also analyzes what could be done with the money that is doled out to favored companies and Hollywood elites. Click here or on the picture below to view the entire PoliGraphic. To learn more about the pitfalls of corporate welfare, visit www.BeaconTN.org/corporate-welfare.